Sometimes, you need only a touch of color or a bold and dramatic graphic to give your business a breath of fresh air. You don’t want to give your entire office a makeover, but you want to add some detail to create an eye-catching visual display that shares your brand with your community. 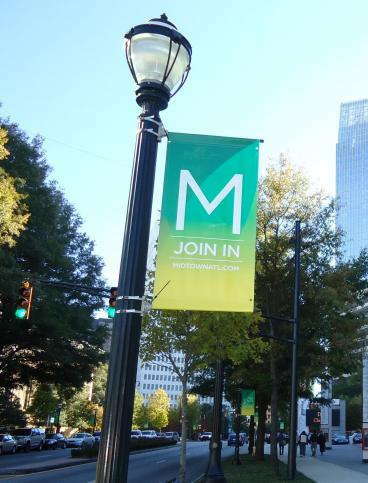 Business banners are one of the best options, as they can be adapted and customized for both indoor and outdoor usage. At SpeedPro Chicago, we’re focused on granting your brand the visibility and exposure it requires. Our vinyl banners feature bright, fade-resistant inks in a range of colors, giving you the ultimate room to create a graphic that announces your brand and offers information to onlookers. If your company is ready for an updated look and is located in Chicago or within the northern and western neighborhoods of Logan Square and Oak Park, reach out to our studio now. If you’re looking for a visual solution that can last, custom banners are the match for you. They can take the critical sellers of your business and maximize the potential for them to be seen by being posted outdoors. You can also feature banners on the inside of your office, building or venue, sharing information with guests and customers as they roam around. Vinyl banners prove to be attractive, durable and versatile, giving your brand the perfect amount of exposure all around. Vinyl is one of our most dependable materials, as it has integrity and can withstand multiple types of weather and environmental conditions. With the addition of our fade-resistant, high-quality inks, your banners will consistently look good without fading. Thanks to our many types of products, you’ll find it quite easy to move your banners around to fit with your current branding and marketing needs. For example, some of our sturdier retractable banners might seem ideal to keep inside your lobby — then, on days when you have outdoor events, you can smoothly glide and transport them onto your patio to welcome guests. All of our hanging banners are easy to switch around as well, whether they’re hanging from poles or clipped into grommet rings. 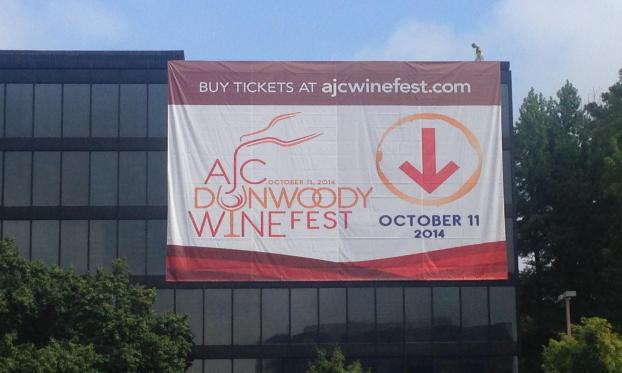 Blackout banners work wonders when you position them outside for an afternoon or weekend event. The key function of these banners is the thin material placed within them. This “blackout filter” blocks out artificial and natural lighting, leaving little to no interference. Therefore, if you have a double-sided banner, customers and guests will be able to read your message easily, even on a sunny afternoon. 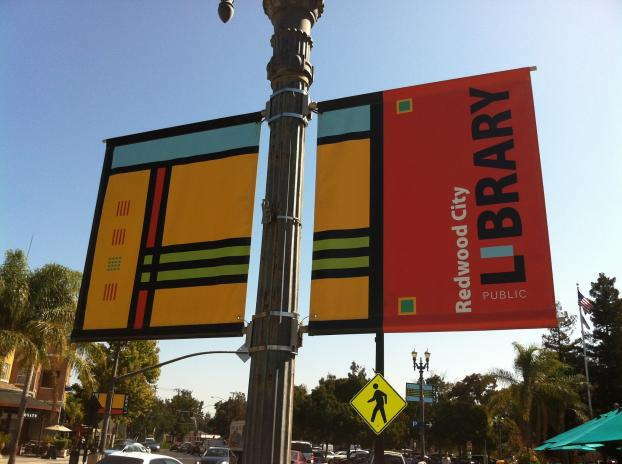 Mesh banners are also rather popular for outdoor usage. Many designers will attempt to make their banners ideal for wind by cutting slits into the sides — a method that’s known for getting the piece ripped apart during storms. At SpeedPro, we offer mesh banners that allow up to 70 percent airflow, meaning that your custom business banner has a lower risk of being damaged by weather conditions. 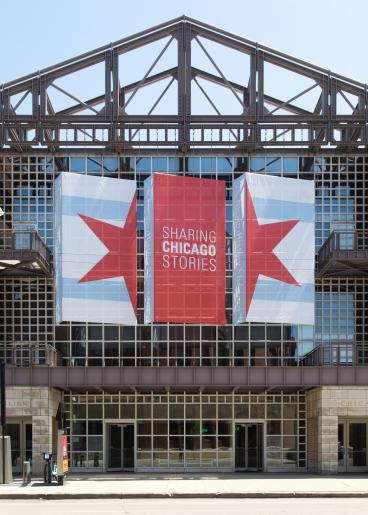 If you’re looking to install some freshly customized banners in or outside of your business building or office, contact SpeedPro Chicago today to set up your initial consultation appointment.